There’s nothing like a little time away with the family to refocus on each other and reconnect without the usual distractions at home. You want to choose a place that will help you to do just that. You’ll need fun things that everyone in the family can enjoy together. That’s a part of what making memories is all about! Of course Savannah has all the usual things to do as a family such as movies, golf, bowling, tennis, biking, kayaking, etc. And Savannah has no shortage of special community day festivals and events throughout the year. But these are a few special things you may not have thought about. 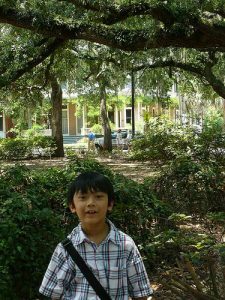 Here are some unforgettable suggestions to help you when you are planning a family trip to Savannah. Paula Deen Culinary Tours Take your family out to experience the food of one of Savannah’s celebrity chefs with the Paula Deen Culinary Tour. This tour will not only take you to some of the places Paula Deen used to enjoy during her rise to fame, but it will also take you to one of Paula Deen’s restaurants for lunch. For a delicious meal and a fun experience, you can’t beat Paula Deen’s culinary tour! Trolley Tours With its quaint country squares and many areas of historic interest there is much to see and do in Georgia’s first city. And aboard Old Town Trolley Tours guests have been seeing the best of Savannah first for more than 30 years. Through humorous tales and fun facts, their hometown conductors guide, inform and amuse, making each comprehensive tour unforgettable. 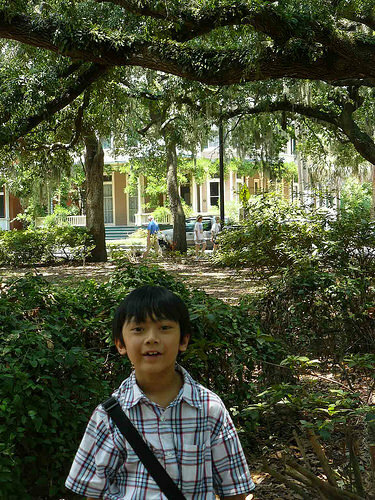 Hauntings Walking Tour For families with older children, experience the Ghost and Hauntings tour of Savannah, Georgia! Hear About Encounters With Ghosts in the Most Haunted City in America. Experienced guides conduct captivating tours to legendary locations every night at 9 p.m. Tours meet at Wright Square (corner of Bull & York Sts.) Reservations not needed but encouraged. Star Castle Entertainment Star Castle is your one stop destination for good, clean family fun. Serving Savannah, Georgia for over 20 years, they offer fun from roller skating to arcade games. Whether you’re looking to have a child’s party, play video games, or roller skate, Star Castle has you covered. They have a full size roller skating rink, state-of-the-art laser tag arena, food court, and a two-story birthday Party Hall. Star Castle provides Savannah with all of its roller skating, laser tag, and birthday party needs. Splash in the Boro Waterpark Spend some time relaxing in the 800 ft. Lazy River or try surfing on the only wave machine in Georgia…the FlowRider! We also offer 2 large swimming pools, a 5-lane Mat Racer slide, 3 large waterslides, a play pool, a leisure pool and a large spray pad! Tybee Island Beach Day If you’ve not experienced the ambiance and relaxing lifestyle of the pristine Atlantic shore, you owe it to yourself to visit Tybee Island – Savannah’s Beach! Drive 20 minutes east of Savannah, GA, and you’ll find Tybee, boasting five miles of public beach backed by undulating sand dunes waving their sea oats and endless views of the Atlantic Ocean – perfect for sunbathing, walking, biking, sailing, fishing, or frolicking like the Atlantic Bottlenose Dolphins in the rolling waves. Roundhouse Railroad Museum This National Historic Landmark site is the oldest and largest existing nineteenth-century railroad operations complex in the nation. Construction began in 1850. Thirteen of the original structures remain today. The complex is owned by the City of Savannah and has been operated since 1989 by the Coastal Heritage Society. Five of the buildings house permanent exhibits, including the roundhouse with its operating turntable. Visitors can see steam and diesel locomotives, rail cars, steam-powered machinery, model railroads, and a 126-foot brick smokestack with privies around its base. Open daily for self guided tours. Dolphin Magic ToursTouring Savannah’s Historic Waterways! Sit back, relax and enjoy a full featured narrated tour of Savannah’s Riverfront, waving Girl, Fort Jackson and Fort Pulaski (trip route/duration varies according to dolphin location). Each cruise is 1-1/2 to 2 hours long. So, as you see, Savannah offers a number of unique ideas to make memories with the ones you love. If you are planning a family trip to Savannah, consider also a unique place to stay that is different from the usual hotel chains. Presidents’ Quarters Inn is just the B & B to give you that special Southern Hospitality that will create the perfect family trip to Savannah. Check here for availability today!